Joseph Mayernik was born in Detroit and attended the College For Creative Studies, receiving a B.A. in art direction and communications in 1998. 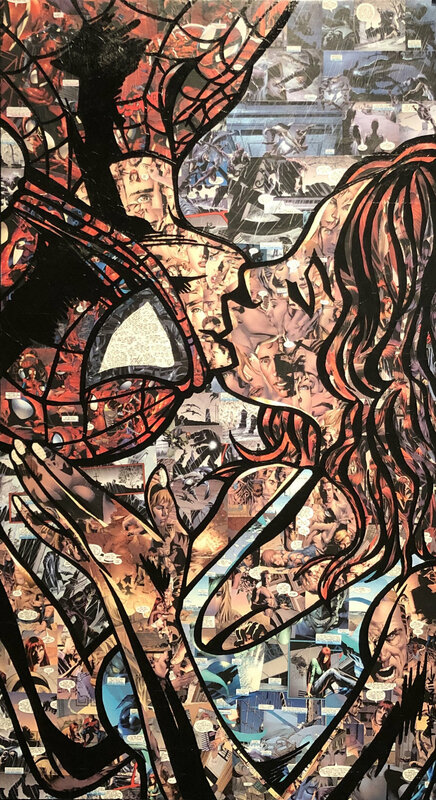 His body of work ranges from a pencil illustrations of airplane perspectives, to sculpture crafted from reclaimed wood, to Hero Collage’s comprised of vintage comics. He’s an problem solver, artesian, illustrator, fine artist, writer, thespian, radio dj, husband and father. 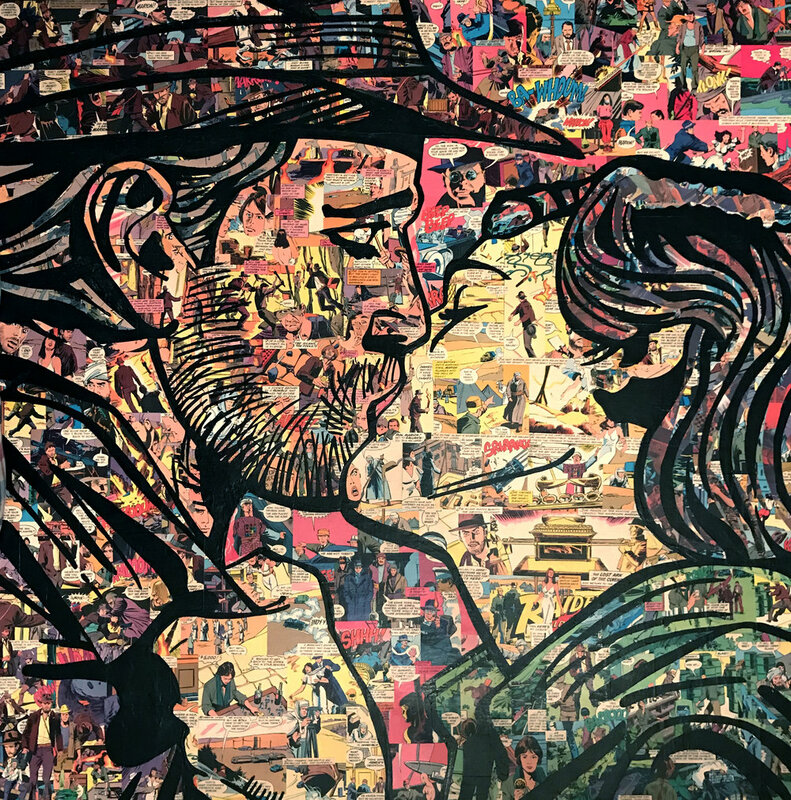 Since, 2015, Mayernik’s Hero Collages have been exhibited in galleries across the country located in Michigan, New York, Kentucky and Florida, and as commissions in homes across the United States. In 2016, his work Indestructible earned the George Eastman Award and the People’s Choice award at the RoCo member show. This year, First Kiss (pictured above) received the Optic Sky Award of Excellence. In early 2016 Joseph also published a 240 plus page hard cover anthology cataloging 20 years of his plane illustrations titled Draw The Plane with a portion of the book proceeds to benefit Make-A-Wish. Currently Joseph is the Owner/Creative Director of Brandtatorship, a full service adverting agency located in the historic High Falls District in downtown Rochester, NY. “Comic books are destined to live a lonely life. The best ones are sequestered in plastic. Stored away in cardboard boxes only to be occasionally enjoyed by the cover. Its story, illustrations, and heroes are trapped in time by a simplified villainous trap set by the comic books true archenemy­: The Elements. Exposure to air, water, mold, and oils from hands. The Hero Collage series sets our heroes free and over exaggerates them. With their large size, the viewer is forced to be overwhelmed by the story. 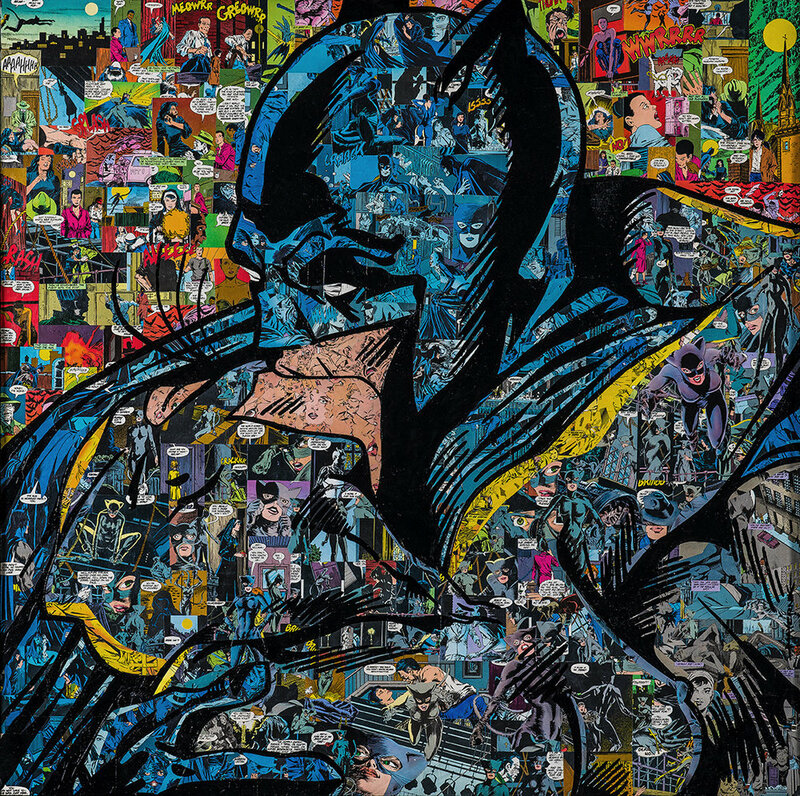 Every Hero Collage takes comics and re-imagines them into unique works of art. The focus is taking what is meant to be viewed as linear, and explode it on a flat surface to be enjoyed all at once.